A new and exciting piece coming to the Mac in a Sac range. 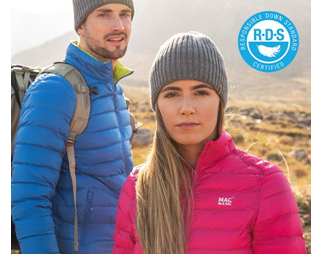 Reversible and packable with RDS approved down. Their new POLAR jacket is available in various colours and in men and women’s styles. Offered to retail with attractive mark-ups. Become a stockist today. Reversible, Packable, Down Jacket.